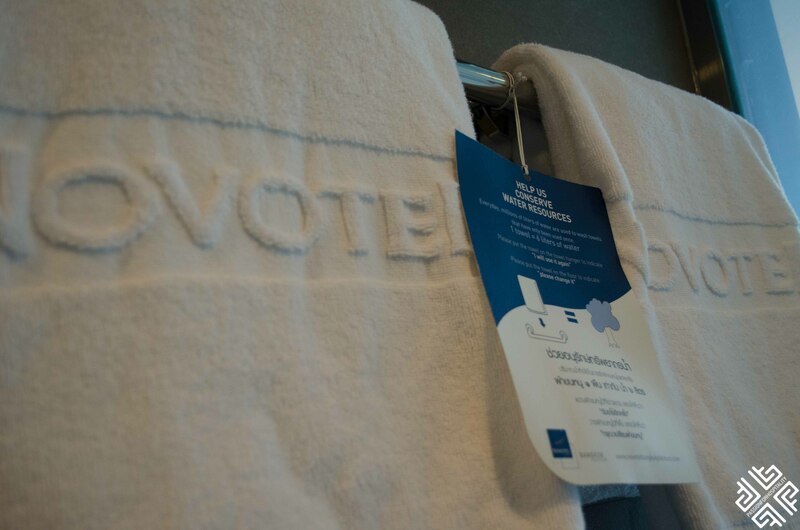 If I had to use one word to describe my Novotel Bangkok Platinum Experience, that word would be awesome! 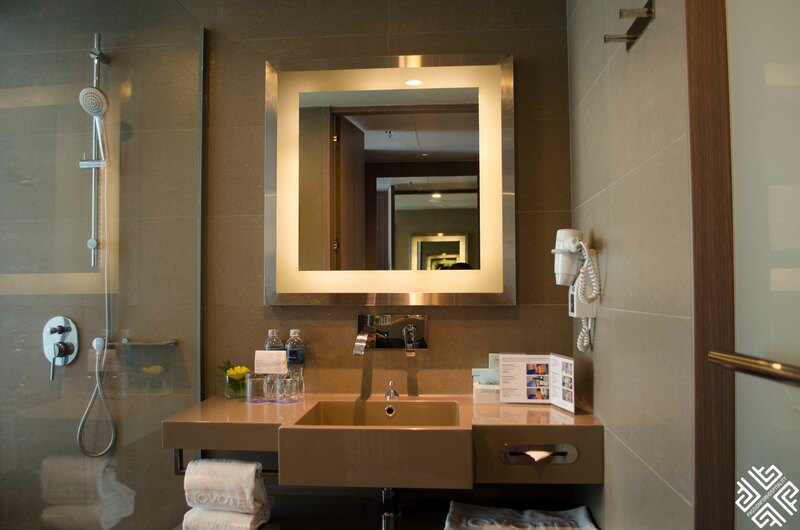 Have you ever had that feeling when certain hotels just grow on you? 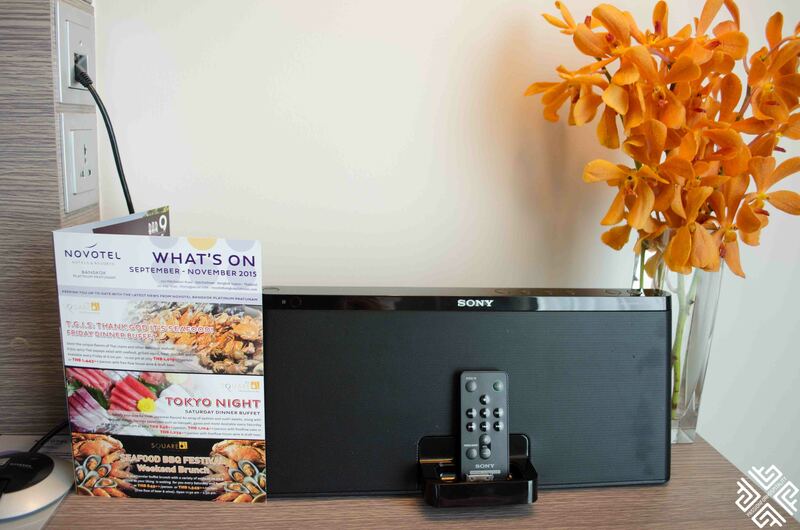 I don’t know whether it is my hospitality background that has created this soft spot for hotels but what I can say for certain is that, there are some that have created wonderful memories. 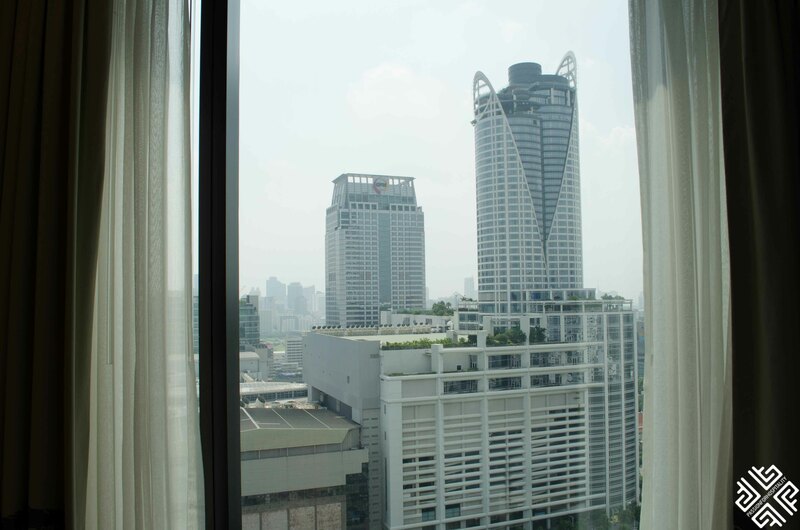 Of course any experience that you have has a lot to do with people, and my first impressions of the Novotel Bangkok Platinum Pratunam hotel where very positive the day I was treated like celebrity on my Shopping spree at the Platinum Fashion Mall which you can read all about here. This was the day I first met with Sharon Kaserer who is the Marketing Manager of the hotel and after showing us around the property she told us that we should come back and stay here. Her idea was fabulous and this is what we did since the only night that I left unplanned in Bangkok was the last one before departing for Athens. As they say everything happens for a reason. Fast forward to my trip to Koh Samui and being stuck on the island for an extra day due to weather conditions, which was the least pleasant experience, we finally made it back to the city and to the hotel. And when I say that I was so excited to be back here, oh boy I mean it! 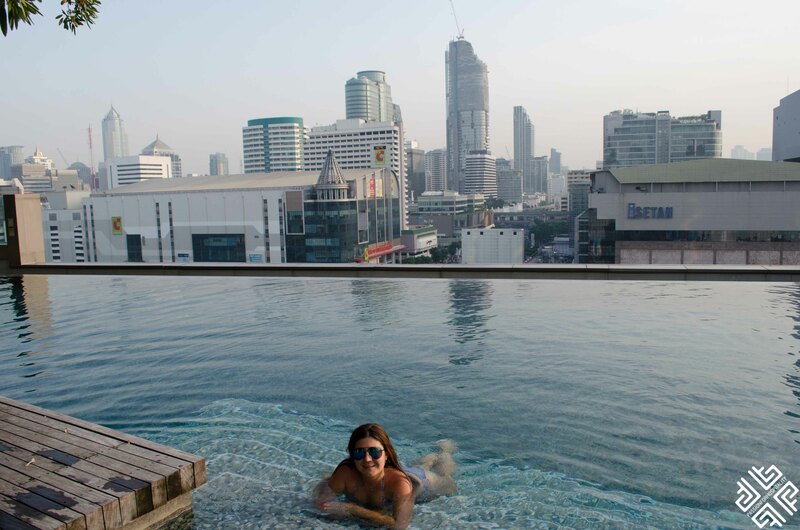 I was dreaming of swimming in their rooftop infinity pool, and I am sure you can understand why by just looking at the photos. 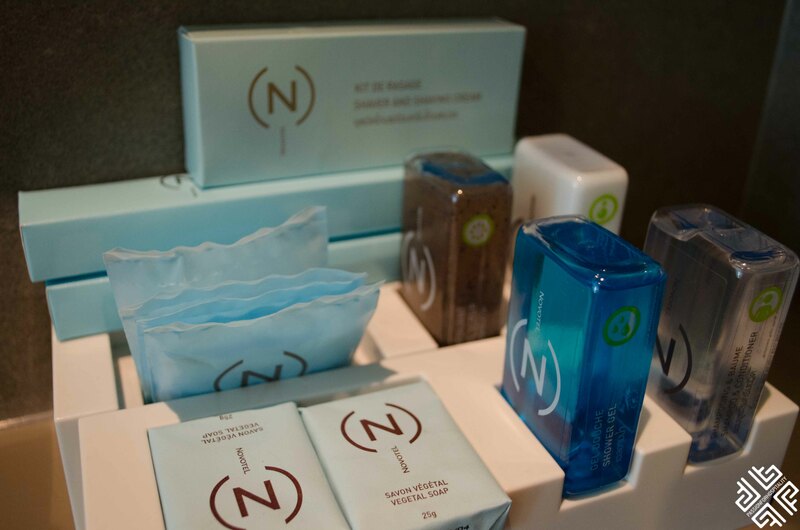 As well as other complimentary services which you will be informed about upon your arrival. 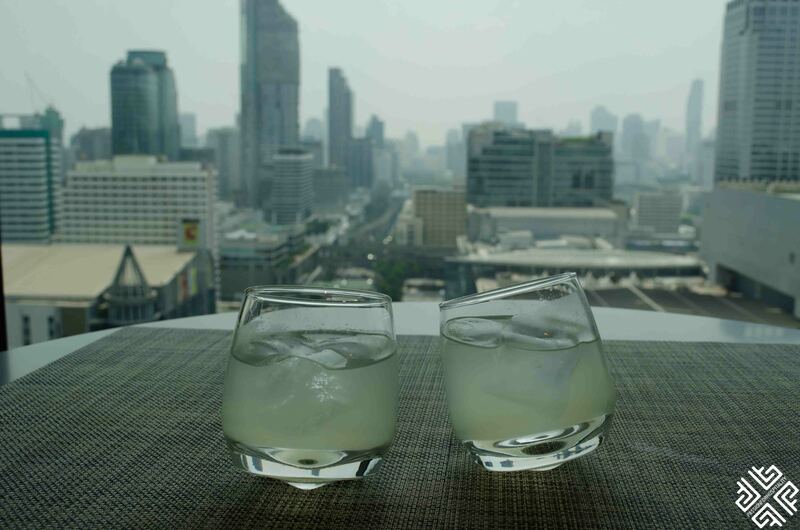 After completing our check-in and enjoying our welcome drink which was served in very interesting tilted glasses, we went to our Executive Room. 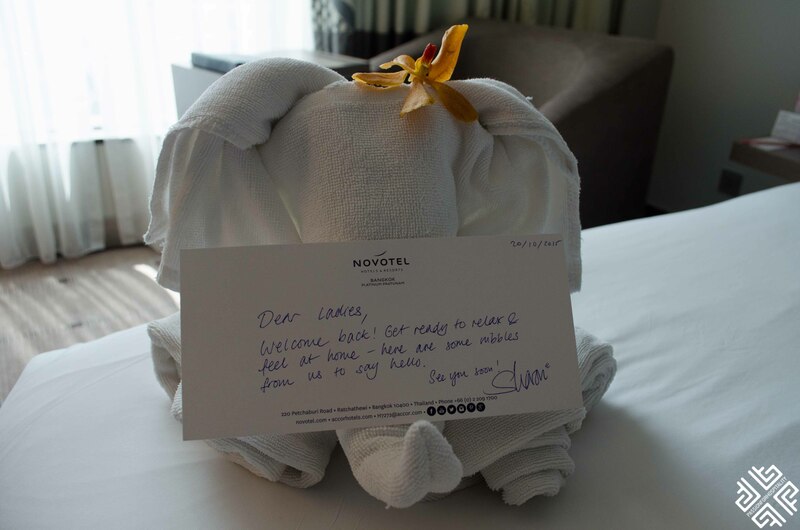 Sharon had arranged this welcome Elephant made of towels for us and a fruit platter. 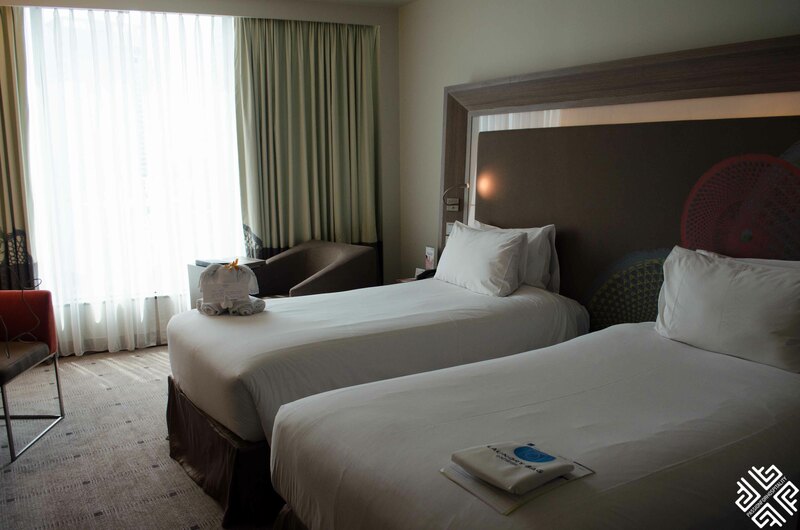 The room is spacious enough and the views of the city here are pretty remarkable. 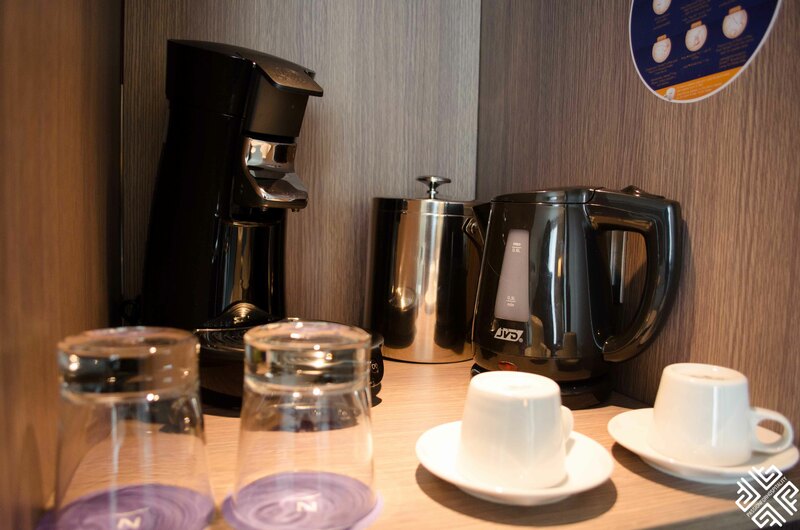 There are complimentary coffee and tea making facilities in the room and free Wi-Fi. I couldn’t wait to get to the pool which is located on the 9th Floor but just before making my way to the perfect retreat spot I had to figure out my flights for the next day. 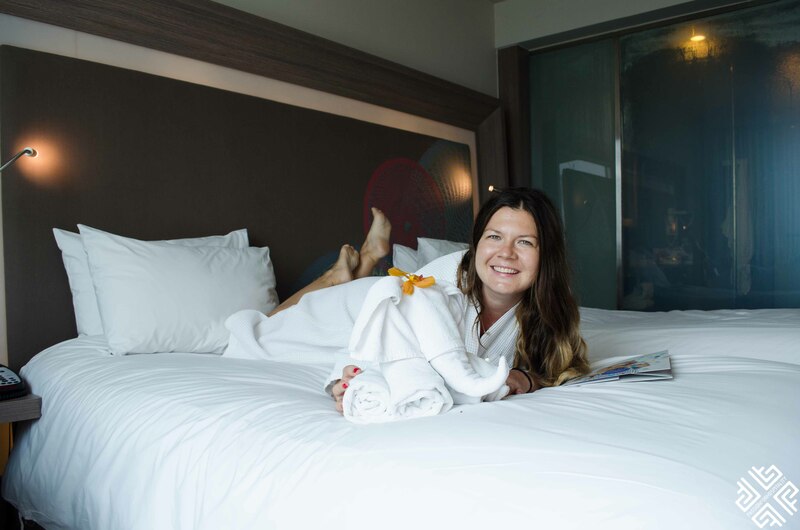 The staff at the Premier Floor were extremely helpful and especially JC who solved my ticket dilemma, she was brilliant and after checking me in online and with my tickets printed, I was ready to hit the pool. The business services at the Premier Floor are excellent, there are Mac Computers and iPads available in case you need to check your emails or any other information. 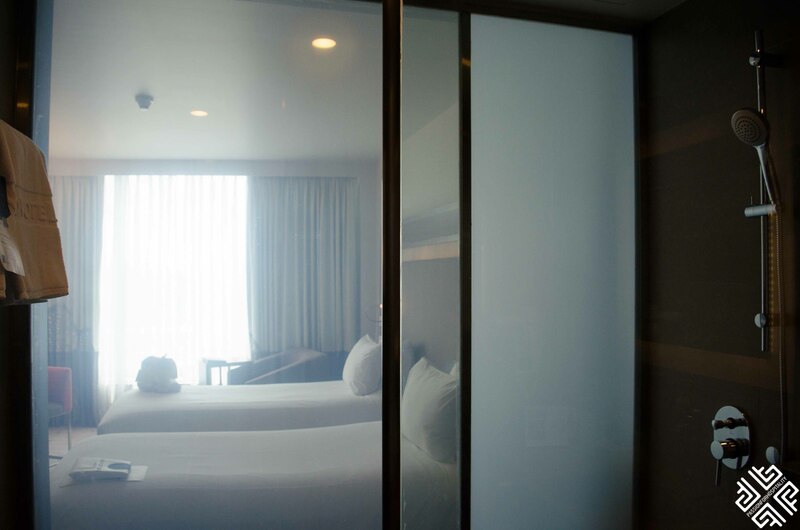 And believe me after waking up in the early hours and waiting at the Samui airport to see whether we would be able to fly into Bangkok on this day, the seamless service provided by the hotel staff was really a breath of fresh air. 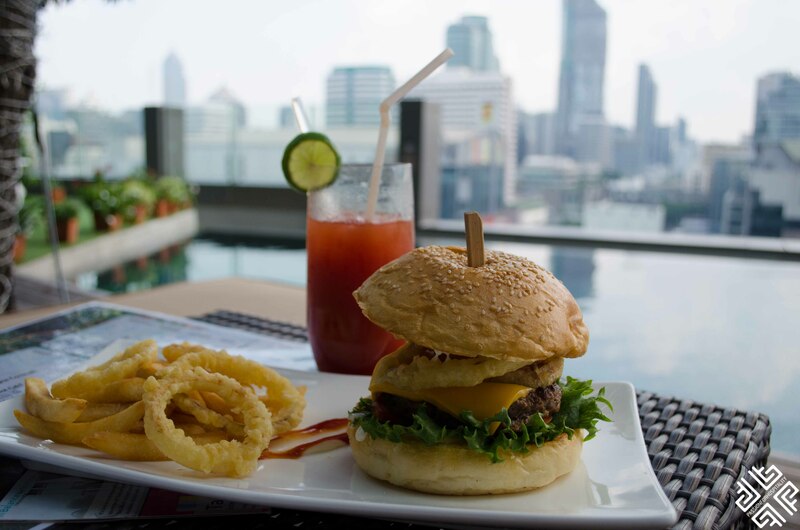 With that said and done, I hit the rooftop infinity pool which is located next to the BAR9, it was around 2pm and I was feeling really hungry so I ordered myself a delicious cheeseburger and a well deserved Bloody Mary. 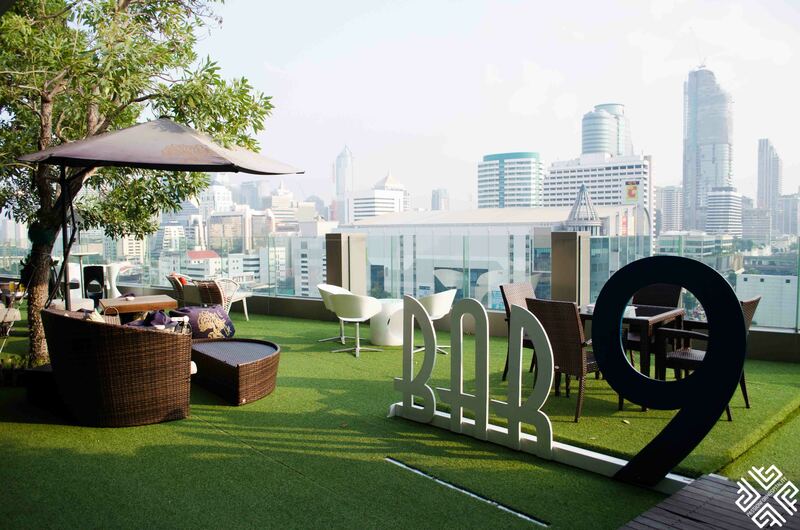 For me this was the ideal hideaway, stunning views of the Bangkok city skyline was what we call the perfect moment of bliss, when you sit back and you know life is good. 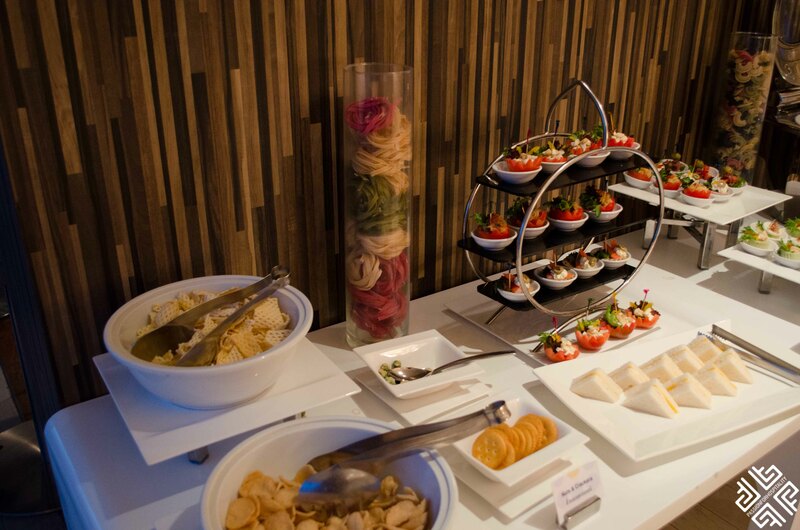 In the afternoon I got to try the Premier Floor food and beverage services, what we call the Happy Hour. 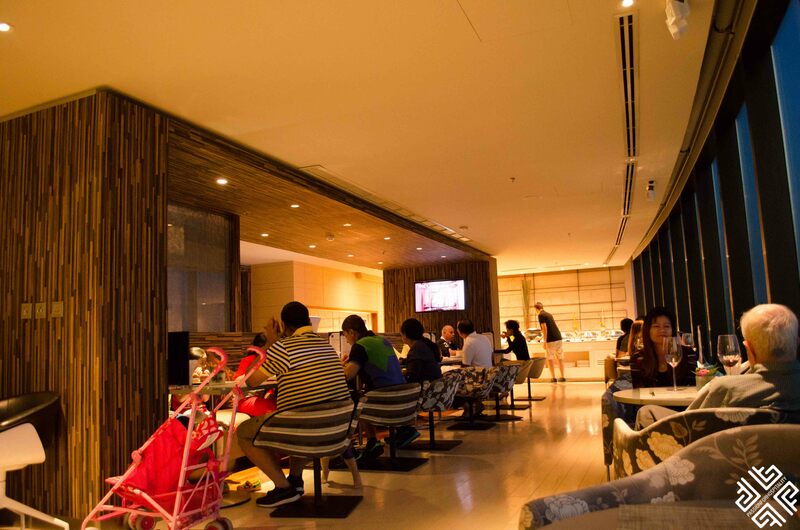 There is a selection of cold and hot dishes, and even sushi. I wasn’t too hungry but I couldn’t resist having some sushi and white wine. 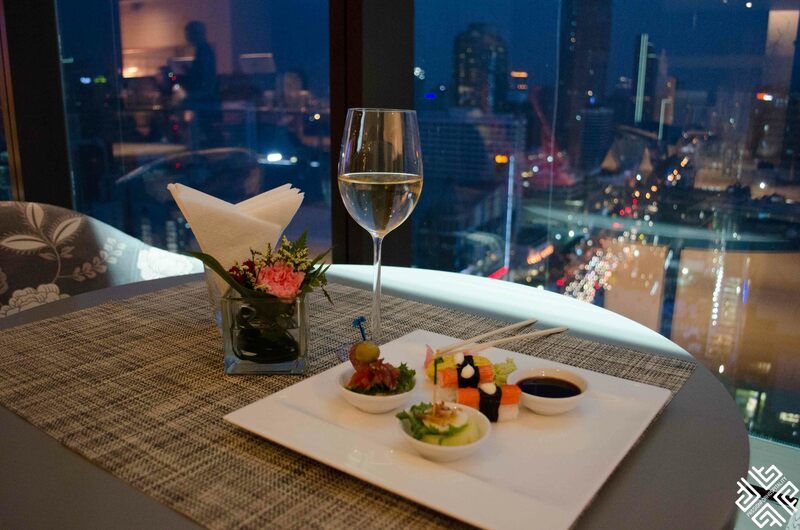 The view of the evening Bangkok was stunning as I watched the slow movement of cars that looked like toy lego from the 24th floor. It was a typical traffic moment in Bangkok which was fascinating to watch from above. Later on I was meeting my Greek friend who lives in Bangkok and we went to a nearby Mall for drinks. I had an early flight to catch and I was the first one to show up for breakfast, but the staff were so helpful to serve me coffee and make my check-out. As I got into the taxi, I was sad to leave this beautiful city but at the same time I was happy to have lived all these unforgettable moments, and to have met so many wonderful people. Bangkok got my heart. 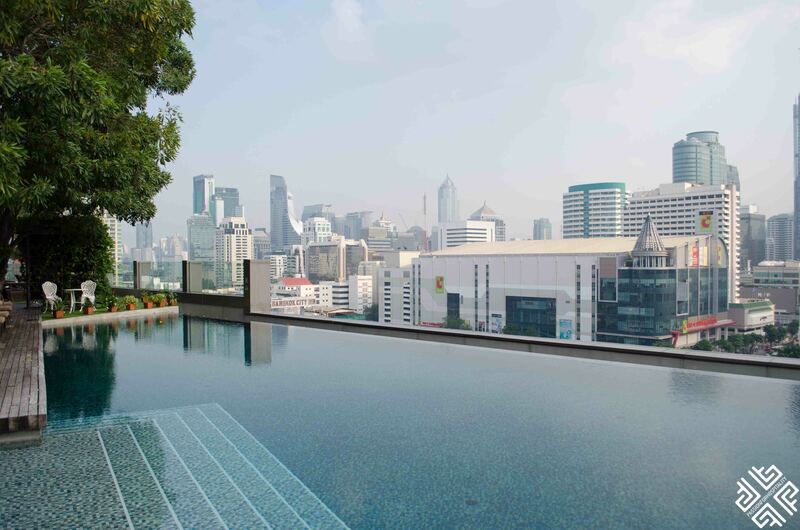 Although my Novotel Bangkok Platinum experience was short, it was very special and I look forward to returning one day soon. Thank you for your warm hospitality! 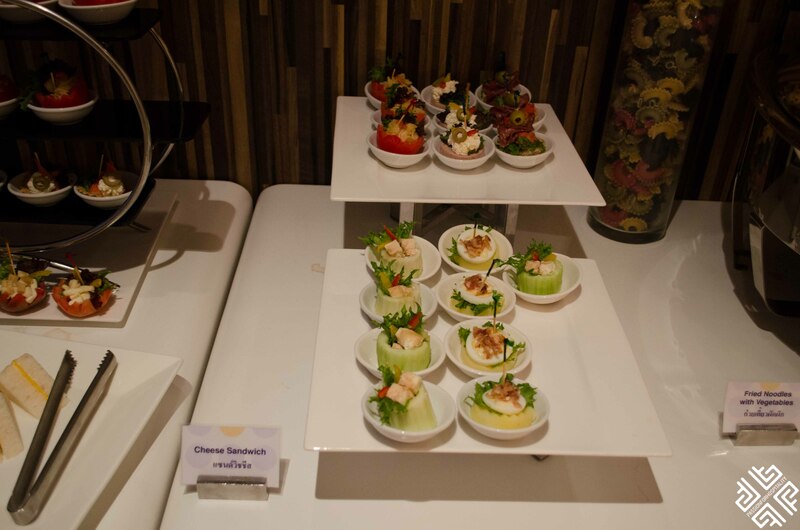 I was a guest at Novotel Bangkok Platinum Pratunam hotel, but all opinions stated are my own.